Prices don't include shipping. Any questions, ask away! 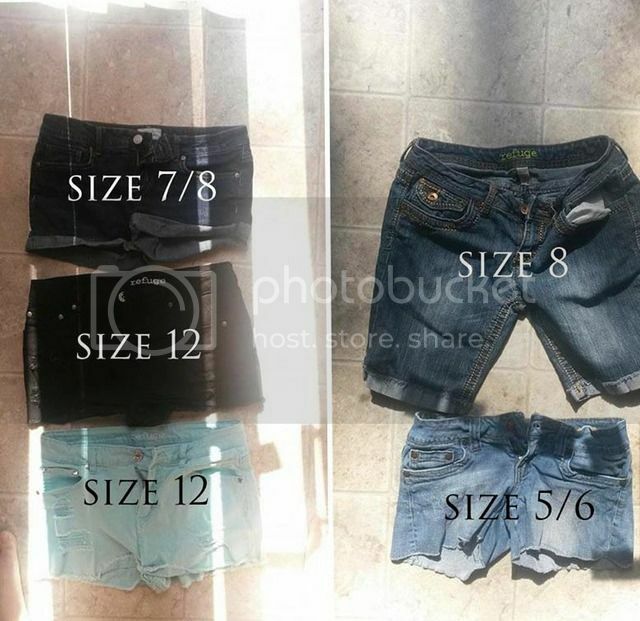 Shorts are $8 each. I have two pairs of the size 8 refuge long shorts (top right corner), just one is light and one is dark. 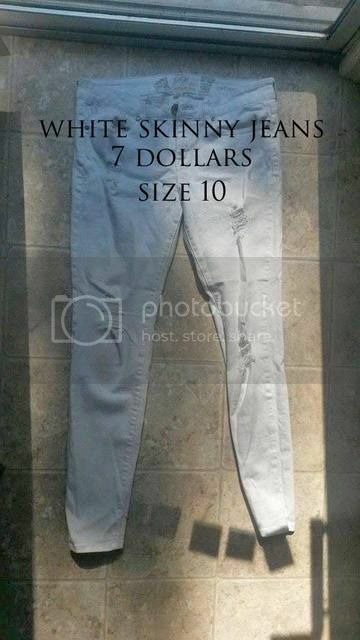 High waisted skinny jeans, $10 each. Shirts $5 each. 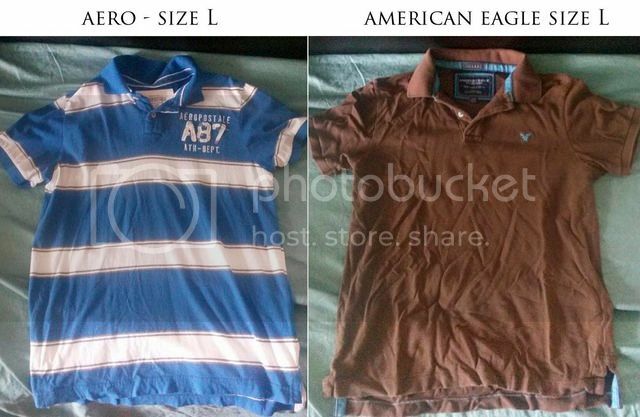 Shirt on left is size Large. 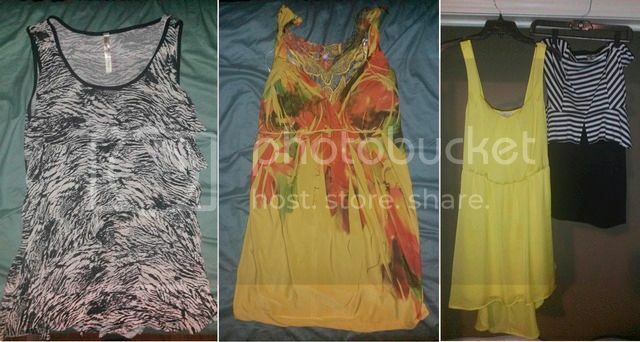 Shirt in middle is Size Medium. 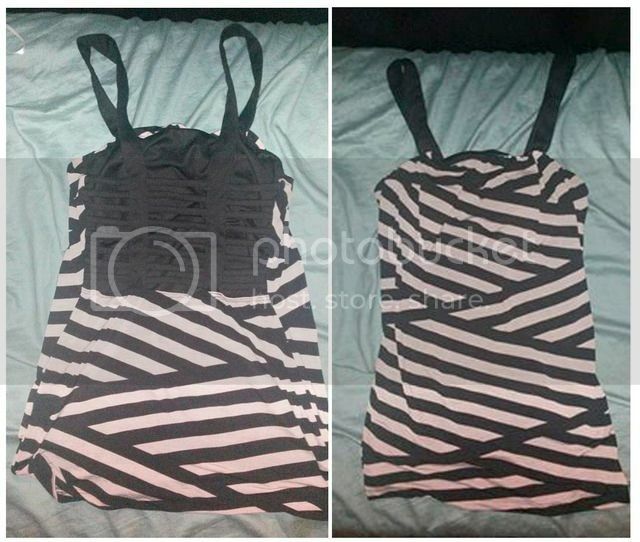 Dresses on right are $15 each. 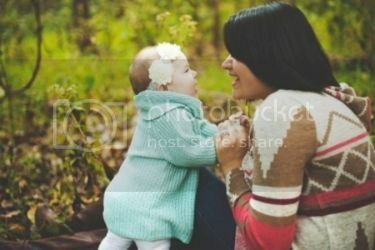 Both are charlotte rouse brand, size L, worn once. Yellow dress comes with a small green waist belt.I have a pic of me in the yellow dress if you need to see how it lies. Last edited by *IGrow'EmXL*; 07-23-2015 at 08:34 PM. 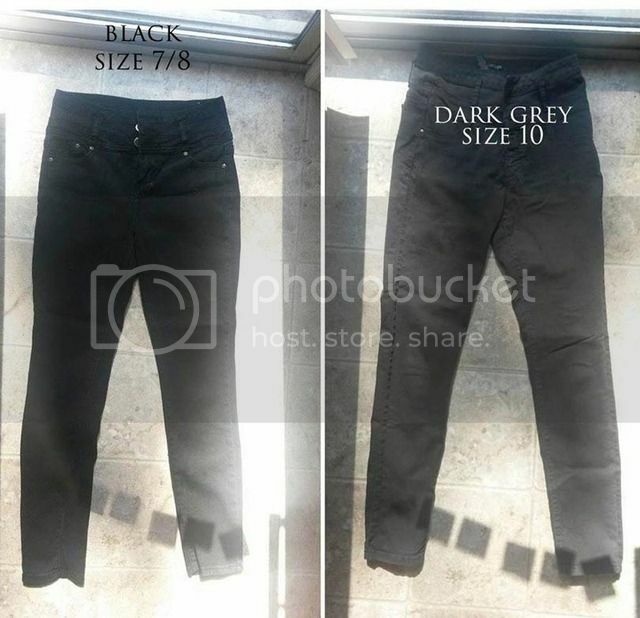 Still have a few things left, mostly shorts and pants!